Cannondale Trail 7. Overview. What's behind the cheapest Trail model? 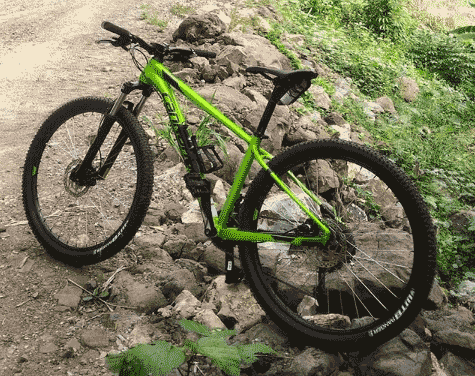 Cannondale Trail 7 is an all-around capable hardtail bike aimed toward entry-level riders who enjoy cycling recreationally and steering off the beaten track. 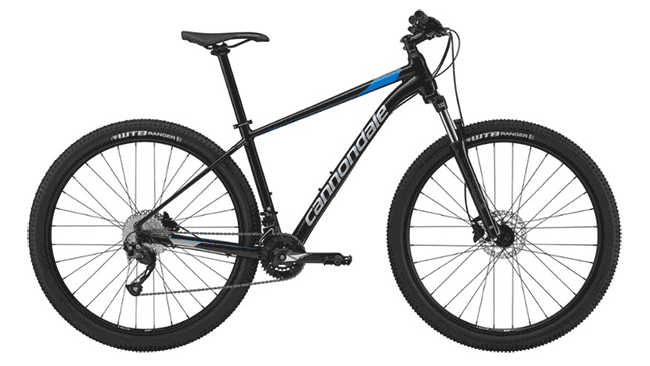 Cannondale Trail line is a selection of six entry-level hardtail models that Cannondale built with the beginner enthusiast rider in mind. The Trail 7 is the cheapest and the most basic one of them, so it’s the perfect starting model for anyone who’s just getting familiar with the sport. Even though it is the most affordable model, it has a lot to offer to its future owner. Some of the materials and some of the components used on this model cannot be seen on any other bike in this price range. 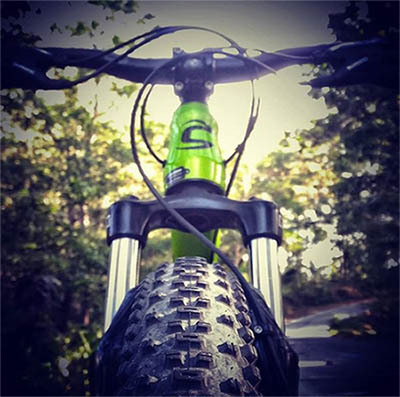 Thus, we can say with certainty that Cannondale Trail 7 is a bargain. One of the elements that we should start our review with and that all models from the Trail series have in common is the CAAD frame. CAAD stands for Cannondale Advanced Aluminum Design and represents the company’s latest technology in frame development and manufacturing. CAAD frames are light, modern, durable, and feature internal cabling and dropper post compatibility. It’s the first thing you spot on a bike, so it easily gets you interested straight away. Apart from the advanced frame that you wouldn’t expect on a bike that costs just above $700, there are other things to like and desire on the Cannondale Trail 7. For example, this hardtail bike has a coil-powered SR Suntour fork with 100 mm of travel. This fork is a bit heavier than the air-powered one found on the more expensive Trail models. But, that’s not something you should be worried about as a beginner. The 100 mm of travel is the perfect amount to get you over any bumps on a singletrack ride or a school ride. Cannondale Trail 7 has a large number of Shimano components on it, such as the derailleurs and shifters. They let you select one of the 18 gears on the 2×9 drivetrain smoothly and with ease. The 2×9 drivetrain is not common on entry-level bikes, but it’s a great choice as it lowers the weight while still giving you more gears than you’ll ever need. Being able to stop quickly and efficiently is essential both for beginner and experienced riders. Cannondale would not be one of the best companies in the world if they didn’t understand that. That’s why all Cannondale Trail models, including Trail 7 come with Shimano hydraulic disc brakes. They are powerful, precise, and responsive, so you will not have any issues stopping in all weather and trail conditions. Moreover, the 160/160 mm rotors are also built by Shimano, which is another plus. Things get interesting once you get to the wheels and tires. Namely, the 2019 Trail 7 is a size-specific model which means there are both 27.5″ and 29″ versions. The S frame comes with 27.5″ wheels, whereas all larger frames come with 29″ wheels. This is a great method to help shorter, younger, or less experienced riders be more in control of the bike on the trail. It’s a really thoughtful detail from Cannondale, which is what makes the Trail 7 a good choice for beginners. The tires on all wheel sizes are 2.25″ wide, which is the perfect size for all-around performance in all moderate conditions. Being that Cannondale Trail 7 is an entry-level bike and the cheapest model in the Cannondale Trail line, it certainly has some downsides. However, considering what we just said, we can’t really take them seriously. If you keep your expectations realistic and remember that this is a beginner model, you will be quite happy with Trail 7 and ride it for a long time with minor adjustments. If we were to be nit-picky, we could point out that the wheels are the weakest point of Cannondale Trail 7. They are the aspect that most riders mention in online reviews. The thing is, they need more frequent truing if you tend to abuse the bike frequently. However, if you ride it recreationally and moderately, you shouldn’t have any problems. Some riders also mention that they dislike the pedals, which are the basic Cannondale platform model. But, that’s really a personal preference. You can easily change them and even swap them for a clipless model if you wish to. 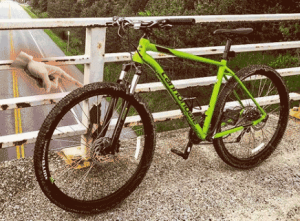 Finally, after giving Cannondale Trail 7 a thorough examination, we can say that it is an excellent choice for all beginners out there who are looking for their first trail bike that will help them fall in love with nature and cycling.